When rava and paneer mixed altogether make small balls, keep aside. hi. this is imam. Shall we use paneer available in the market ? instead of we make. my rasullays tottaly dissolved in the syrup and broke down,pls tell how can i make rasgullays harder. hi farhat can u plz tell me how to make dry paneer coz when i made paneer,it was oily & rasgullay dissolved. Aman you can go to any grocery store and ask them,you'll definetely get it,one more thing i'd like to know aman is that haven't you eaten soji ka halwa ever?? hi sanjeev, do we find any change in making the paneer when we use 1% reduced milk or 2% reduced milk ? canu plz tell me is it possible 2 get paneer from the above mentioned milk.i just wanna make sure what kind of milk can we use in US in making tiz dessert perfectly............hope u will answer tiz.......thnx for the recipe..
we need to take full cream milk or double toned(skimmed) milk, please advise. Hello Rajib, No wher I could find the recipe for rossogula except in your Khana Khazana.I will try making them right away.Wish you were here to share the joy with us.Thanks a lot. 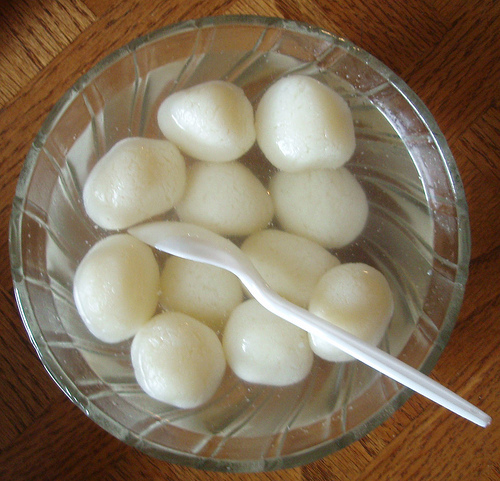 hi farhat......when i boiled the paneer balls in sugar syrup,the balls were shreded........ plz tell me why it become so? Your paneer should be dry not oily, because of oil it was dissolved.